Xiaomi declared its plan to launch the latest version of android skin, MIUI 9 and the list of the supported devices with Mi 5X. 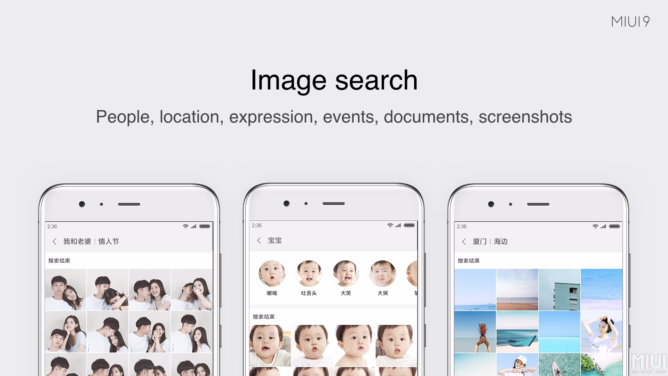 MIUI 9 was launched in the market with 3 new features and the company is interested to point out that MIUI is used by over 2.8 billion users all over the world and most of them for the smart phone OS. 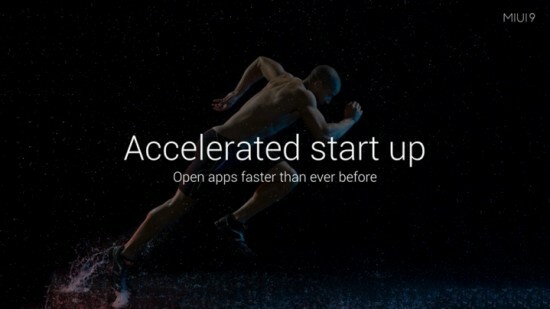 The new part may be applied to MIUI and we watched the similar features from Google and we see the Xiaomi has in the store for us with the provision of MIUI 9. You can make plan to spend some time with your buddy on Hollywood flick. The friends will suggest the movie and you can get information about it. You will get the messaging app, open IMDb or Google and type the name of the said movie and get some details about it. 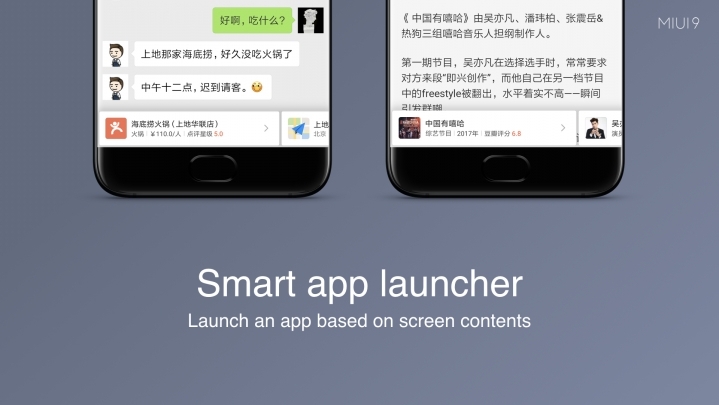 You will find the new smart app launcher to save your valuable time and it will detect that you talk about the movie or open the app to get more details and save them for manually searching for it. We have already watched this on the launcher of Google and it scans the screen of the user in order to give more information about the contents. The large storage option is provided on the smart phones of today and their photo libraries get the pretty crowded and hard to navigate. 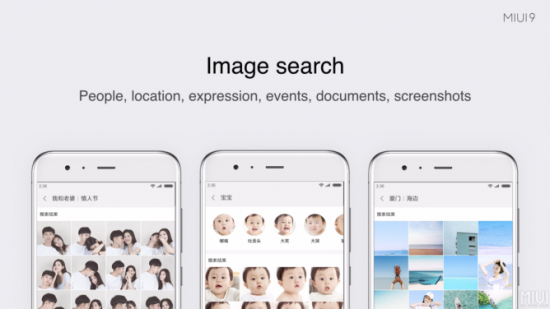 New image search can come when you try to find the photo. You need to search for the terms like ‘dog’ or ‘cat’ and software will filter out the images with the keyword. Google photos are implemented it. You should see the implementation of Xiaomi and it is good alternative, when OS will be officially launched. 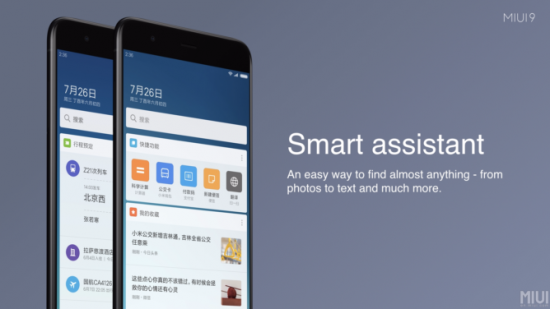 Xiaomi joined the smart assistant club with the new iteration of MIUI and it was similar to other personal assistant, in which Bixby, Siri and Google Assistant are included. You perform the basic talk like searching through phone for photos, calendar events and notes. Now the clients will wait for the official release before they get apples to apples comparison of assistant of Xiaomi with the existing assistants, who are present in market. 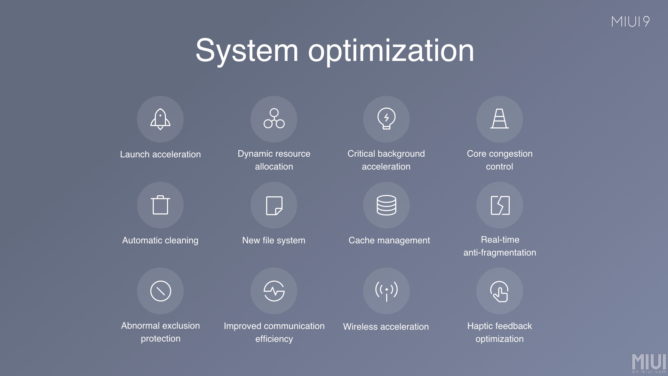 MIUI 9 is provided in the market with the optimization along with other new features to enhance the experience of the user. The first one is reduction in app launch time with the dynamic resource allocation to give the priority to app, which runs in foreground. It gives app the valuable system resources and it would waste on the tasks of the background. The second stage is the inclusion of functionality of split screen of Nougat. The lock screen has been redesigned with new short cut to flashlight by swiping right. MIUI 9 has wide variety of theming options, which are present to make the device unique. Xiaomi plans to finish MIUI 9 China and Global Developer ROMs during August and the stable release of China ROM in late September. The stable global release should follow soon. The company is interested to point out that there are one or more features in it, which are available only for China ROM and we will have to wait for official release to get more details.